Watch Rick Wakeman play Debussy’s Clair de Lune! Clair de Lune appears on his album, 'Piano Portraits'. 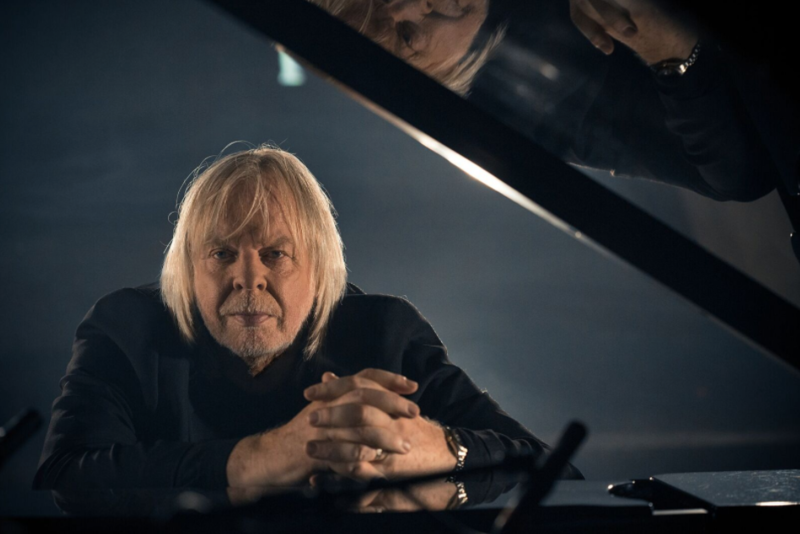 Revered keyboardist, songwriter and broadcaster Rick Wakeman will release Piano Portraits, the record-breaking 160th studio album of his career, on January 13th 2017. Recorded at The Old Granary in South Norfolk, the album sees Wakeman embarking on a voyage through a varied selection of music including classic songs that he originally performed on. Wakeman has carved out a fascinating, idiosyncratic career that has traversed multiple musical worlds. A classically trained pianist, he studied at the Royal College Of Music before going on to become a much-in-demand session musician playing on a string of hit songs by the likes of Black Sabbath, Elton John, Cat Stevens, David Bowie and many more. Also well known as a member of progressive rock band Yes, as a hugely successful solo artist, as well as a popular TV personality (notably as a contributor to the BBC comedy series Grumpy Old Men), Wakeman is, without doubt, one of the most original, entertaining and groundbreaking performers of his generation. Piano Portraits showcases both the technical virtuosity and lightness of touch that have become trademarks of Wakeman’s playing since he first made a name for himself in the ‘70s. The 15-track collection features a contrasting selection of compositions including music by David Bowie (Life on Mars, which Wakeman recorded the original piano parts for), The Beatles, Yes, Led Zeppelin, Debussy and Tchaikovsky. Watch his performance of Clair de Lune below. Rick Wakeman was the cover star on issue 95 of Pianist! Get your copy here.